Jimi Hendrix. If those two words mean nothing to you, stop reading this and go and listen to his whole back catalogue.. seriously, go and do it now. This one man has been the influence of so many modern day musical talents that quite frankly, if you don’t know this man, then you need to re-think what you’re doing with your life. 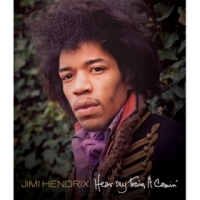 In case you haven’t released: I am a huge Hendrix fan. So, when I found out about the release of ‘Jimi Hendrix – Hear My Train A Comin’, you can guess that I was very, very excited. 4 November cannot come round quicker. Being a huge Arcade Fire fan, I’ve feel as though I have been kept waiting for their new album for far too long. But finally, three long years after ‘The Suburbs’ was released we have been given a hint of their fresh sound. 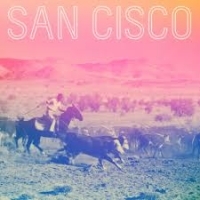 With a healthy dollop of ‘do-da-doing’ and some seriously sugary choruses, for anyone above the age of fifteen, San Cisco’s new, self-titled album sounds like little more than an Okay Go meets Alphabeat hybrid. As a summer-time jam, released mid-October, it’s a bit of a confused attempt. However, the album does give us some glimpses of musical genius that would, and we can be hugely hopeful for a promising future. Korn's importance to modern rock is something that I have always seen to be massively under-rated. Not only spawning an entire genre, but also being the soundtrack to a generation of kids that grew up between the dying out of grunge and the emergence of the internet. When you look at bands as a whole, Korn have to be one of the most influential bands to date. Name one of your favourite modern bands, and their members probably listened to Korn growing up. Korn made rock music 'cool' again, in a time before dance and pop music ruled. 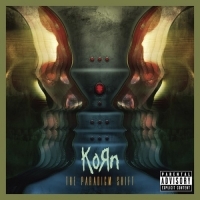 With their last album, 'The Path of Totality', Korn created a bridge between two contrasting genres; with their eleventh studio album 'The Paradigm Shift', Korn are evidently doing their best to make rock 'cool' once more. 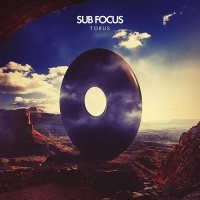 Sub Focus freed the inhibitions of every raver packed inside the Radio One Dance tent at Leeds Festival this summer, leaving many of us living in high anticipation of this release. The soul behind Sub Focus is Nick Douwma, a gifted UK producer with an obvious amount of talent beneath a complex set of skills.